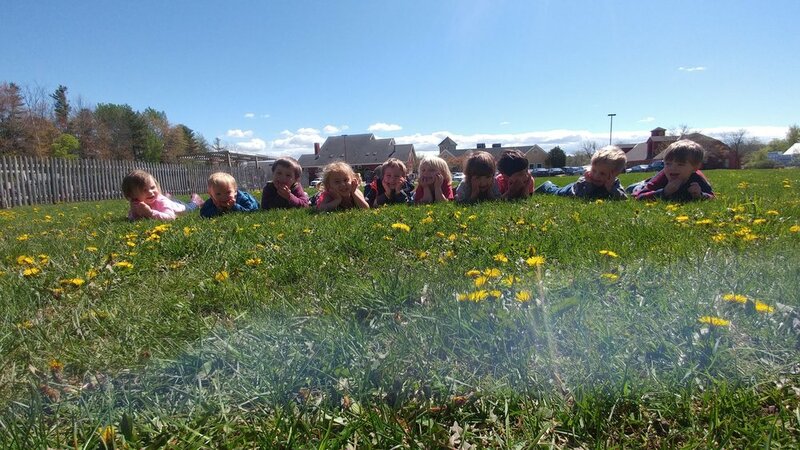 The children in class with Meg and Kaylie had so much fun exploring their senses in May and June. The highlight of the experience was when all of the friends had a chance to taste a real lemon. Their reactions were fun to watch and each facial expressions was captured for the “When Life Gives you Lemons” photo series. 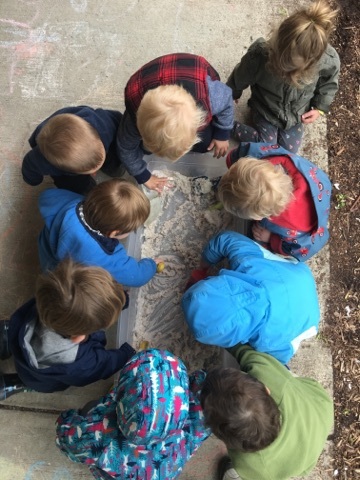 Also during these last few weeks the children have had a chance to explore outside in the grass, get their hands messy in the classroom with soil and explore light and shadow as the teachers made shadow puppets on the walls. 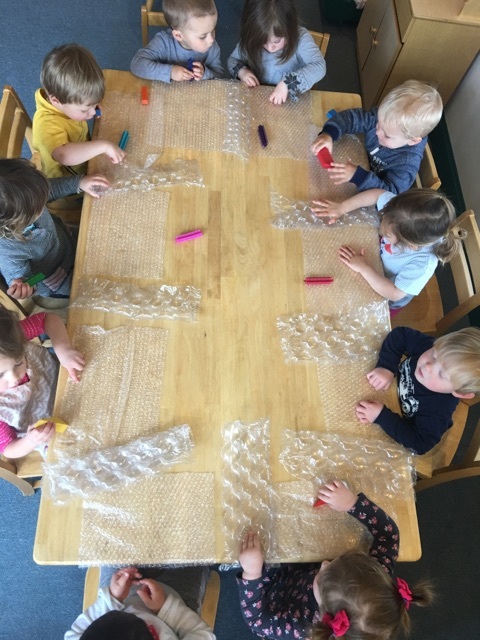 Everything new is so exciting for the children in class with Meg and Kaylie, and it has been a delight watching how each child has approached new experiences. Exploration of light and shadows was also an exciting event for the children in class with Marina and Kristen. The children really enjoyed examining their shadows as the teachers moved the light making the shadows larger and smaller. 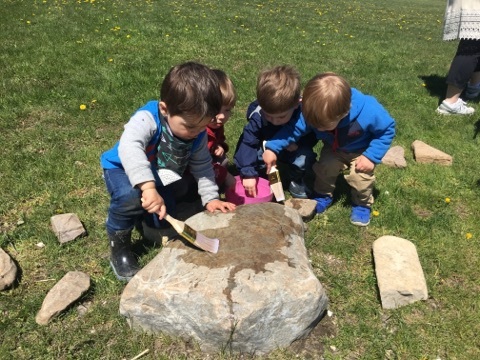 There has been opportunities for the children to experiment with touch and sound as they used water and dry sponges to learn about hard and soft and played rhythm sticks outside on different objects such as the fence, the ground, plastic buckets and large rocks. It was quite a musical menagerie. During the months of May and June touch, sight, sound, smell and taste were the topics of discussion in the class with Anne and Jacey. The children had a chance to experiment with their sense of smell and sense of taste as they explored scents such as spices and herbs and tasted lemons, pickles and maple syrup. The children shared their thoughts and the teachers graphed their reactions. The senses of touch and sound were also fun to learn about as they created textured art with rotating sander sandpaper and made musical instruments such as kazoos and rainsticks. We are driven by our senses and helping the children explore them in different ways has been a wonderfully fun experience. Science is Fun has been the theme in the classroom with Liz and Amanda and a lot of fun has definitely been had. 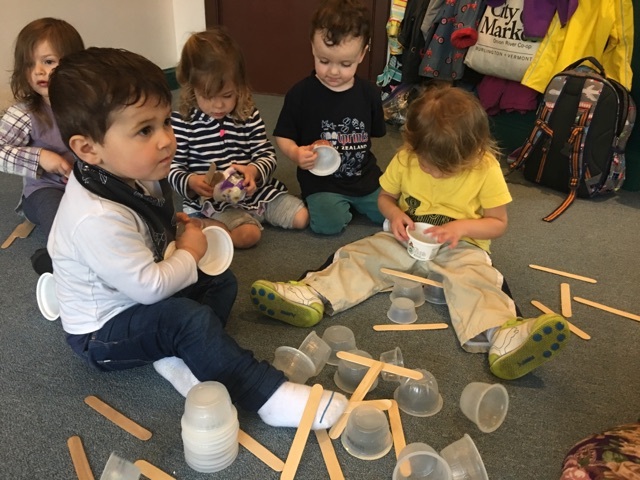 Each morning the children have been welcomed to explore varying items in the sensory table and have enjoyed finding new ways to manipulate materials depending on how the sensory bucket has changed. Throughout the month the children learned about gravity through drip painting, dabbled in food science with taste testing and explored color mixing with primary color paints and plastic baggies. It has been so exciting watching the children become scientists during this theme. 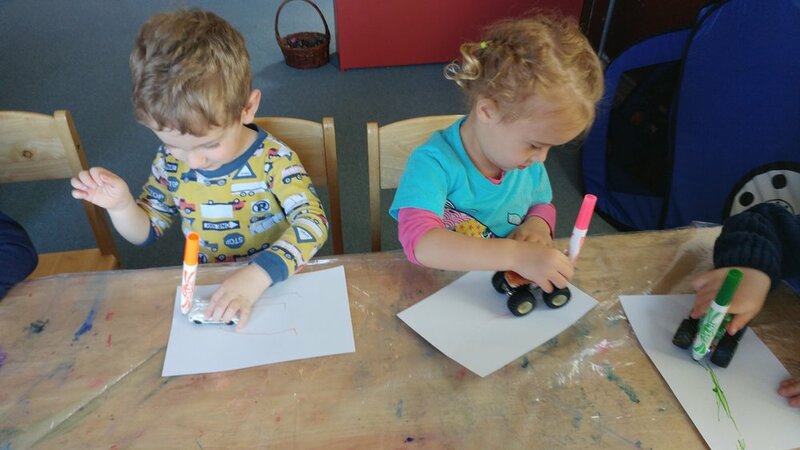 The children in class with Nikki and Cara have been boating, flying, driving and conducting as they have been learning about transportation. 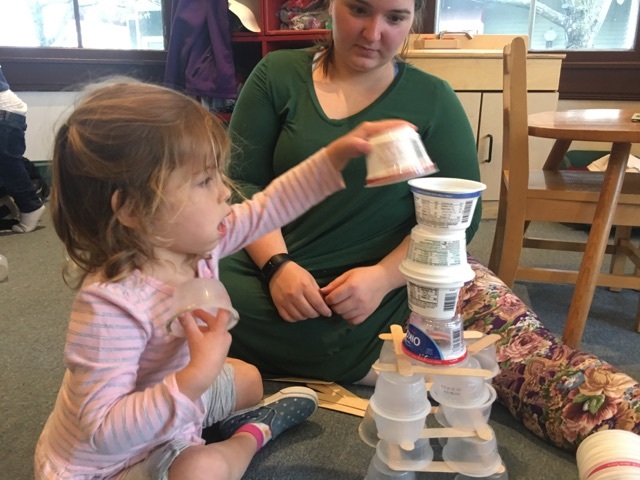 Each day has been full of imagination as the children transform lines of chairs into trains and planes and travel around the world to far off places, even the moon! 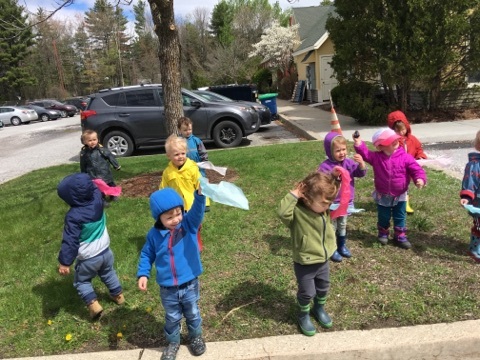 Some of the highlights of this theme have been driving trucks through paint and creating tire tracks, pretending to drive around the room in the school bus tent and using large trucks to drive on and make popping sounds on bubble wrap. Children are drawn to car and trucks and construction vehicles and this has been a wonderful theme to end the school year with.